For stock number N18730, N19023, N19082. All Leases are 10,000 miles per year for 36 Months. $4,000 due at signing, including all available rebates. Plus tax, tag, title, dealer fee and dealer adds. With approved credit. 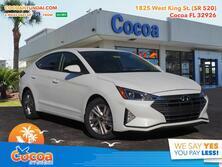 $89 per month lease is valid on Manual Transmission Base Model Elantras Model Code 47413F45. See dealer for details. For stock number N19138 2019 Elantra SE. Photos are for illustration purposes. For stock number N19164, N19193. All Leases are 10,000 miles per year for 36 Months. $4,000 due at signing, including all available rebates. 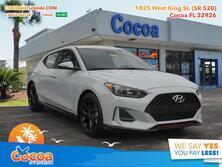 Plus tax, tag, title, dealer fee and dealer adds. With approved credit. See dealer for details. Photos are for illustration purposes. For stock number N18818, N20004, N19067 . All Leases are 10,000 miles per year for 36 Months. $4,000 due at signing, including all available rebates. Plus tax, tag, title, dealer fee and dealer adds. With approved credit. See dealer for details. Photos are for illustration purposes only. Valid with Every New Hyundai Purchase. See dealer for details. Browse the new vehicles we have available. 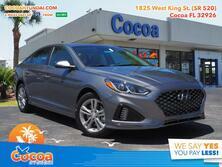 See the quality used vehicles we have at Cocoa Hyundai. 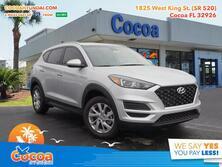 The Cocoa Hyundai service center is ready to handle all of your maintenance needs. Check out the current incentives that can save you money on a new car right now. Our team members at Cocoa Hyundai are always ready to help out with any part of the car purchasing or ownership process. 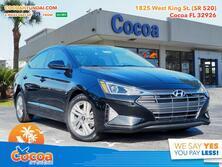 I purchased a vehicle from Cocoa Hyundai and the sales rep, Adam Marx was great. He asked questions then brought a car around that he thought I would like without having to walk around the lot. We test drove the car and I ended up purchasing it. Adam was great to work with and explained everything. I've had to ask more questions but he's been very polite and answered ... all my questions. Will definitely refer Adam to my friends. I was very satisfied with the service representative that I had. I love the fact that he told me what work I had in time past and it was time to have them replaced. He did not try to sale me something that I did not needed, I really appreciate honesty. 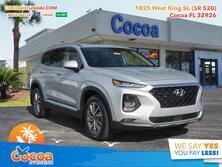 I had an amazing experience purchasing my Hyundai Santa Fe Sport. The salesman John R. Was awesome. I knew the 3 vehicles i wanted to test drive before arriving. John was very knowledgeable with all 3 vehicles. It was only 2 hours from test driving all vehicles to signing the paperwork for my new ride. Endless research and three different dealerships and we were exhausted in our search for a new vehicle. We were on our way home to sit down and compare all their numbers and offers,when our phone rang in the car. It was a call from Carlos at the Cocoa Hyundai dealership. We hadn't gone to this dealership but I had gone into their website to compare prices, options and ... inventory. Their website asks for your email and phone when you're visiting the site. Carlos asked me if we were still interested in a new vehicle or had already purchased etc. When I replied that we hadn't made a decision yet, he asked for one favor. Please stop in and ask for him and at least give them an opportunity to try and match what we were looking for before we made a final decision. It happened we were only a few miles from their dealership so we decided to stop. It was the best decision we made that weekend. Carlos introduced us to Josh Snyder and he asked for specific details on what numbers we wanted to see in our overall decision on a specific new vehicle. He then set out to beat all of them and still provide us with the vehicle that met our needs. It was painless and we actually drove home with our new vehicle. Carlos's phone call was the magic that made it work! RAND was an amazing sales rep. He even picked me up at my work in Melbourne to take me to see the vehicle. He and the team walked me through the deal and and were very patient with me as I sat in there showroom making sure I was getting the best deal for me..... I had been to the Hunger Project that they support in there parking lot and had been impressed by a ... dealership that sews back into their community. They also invest time and patience in you when you are dealing with them...Service at its best. In today's busy cut throat world that is refreshing. Thanks Ali and John and Rand for staying late and helping me get my new car. They even give you referral money for referring people. Ask Rand for my phone number and I will give you half of it if you end up buying. Paying it forward. We walked in with a particular model and style in mind and after a test drive realized that it was not for us. Rand was very patient with us and was able to match us with a car that was suitable. We didn't have to buy a car but this was a nice experience. No high pressure sales, it was very relaxed and we were in and out in 4 hours. It’s so worth the easy drive to Cocoa over the Orlando traffic and toll roads to visit these great guys at Cocoa! They had my car ready to roll and I was on my way w the best price in just over an hour. Service department is friendly and courteous. The lounge is clean and pleasantly roomy with snacks and beverages available while waiting. My Service agent was George did a great job he did exactly as promised no pressure to have extras unnecessarily done like some dealerships. I will be back and highly recommend the service department. Their maintenance ( & repair) is always there when needed. They never try to up sell something. Never try any add one. They simply do the work I need or ask for. Their staff demonstrates true excellence in customer service. Going that extra mile when they don’t have to. Thank you Cocoa Hyundai!! 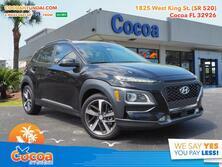 For more than 28 years, Cocoa Hyundai has been serving our customers by offering a vast selection of new, used, and certified pre-owned Hyundai models backed by our outstanding services. With “America’s best warranty” from Hyundai, you can rest assured our vehicles are of the highest quality. When you’re searching for certified used cars or new cars for sale near Orlando, FL, browse all of our Hyundai options — from sedans to SUVs — to find the perfect vehicle. Within our inventory of new and used cars, you’ll find the sleek Hyundai Elantra, the sporty Hyundai Sonata, and the spacious Hyundai Tucson, which are packed with premium technologies and safety features. With the help of our friendly sales team, we will find the right Hyundai for you. Connect with the professionals in our finance center who will walk you through the car buying or leasing process, and finalize a payment plan that works for your budget. And when your vehicle needs to be serviced or repaired, you can schedule an appointment with the trained technicians in our service center. For more information about our inventory and services, visit our showroom or call (888) 712-4784.